EMRIs from stellar-mass black holes have a very low event rate in Milky-Way-like galaxies, of about one every million years. However, the capture of a sub-stellar object such as a brown dwarf (BD) is more frequent because these objects are much more abundant and can plunge without being tidally disrupted. A BD EMRI covers some ∼108 cycles before merger, and hence stay on band for millions of years. About 2 x 106 yrs before merger they have a signal-to-noise ratio (SNR) at the GC of 10, 104 yrs several thousands, and 103 yrs before the merger a few 104. Based on these values, this kind of EMRIs are also detectable at neighbour MBHs, albeit with fainter SNRs. We calculate the event rate of BD EMRIs at the GC taking into account the asymmetry of pro- and retrograde orbits on the location of the last stable orbit. We estimate that at any given moment, and using a conservative approach, there are of the order of ≳20 sources in band. the calculation of the orbit. Depending on the frequency distribution, one of the ≳5 sources in circular orbits could be sufficiently loud and at high enough frequencies during LISA’s operation that the systematic growth of its SNR could be tracked. This could then constitute a foreground signal and might bury that of MBH binaries. After completion of his Master's in Theoretical Physics (Particle Physics) in Spain, Pau Amaro Seoane moved to Heidelberg to do a PhD in Theoretical Astrophysics, more precisely on dense stellar systems and the cosmic growth of supermassive black holes. Later, he moved to the the Max Planck Institute of Gravitational Physics in Potsdam (also called the "Albert Einstein Institute," AEI) to work with the director, Prof. Dr. Bernard Schutz and Dr. Curt Cutler on General Relativity, in particular on Gravitational Wave Astronomy. During his time in Barcelona, with Ignasi Ribas and Jordi Miralda-Escudé, he worked on the formation and evolution of protoplanetary disks, which later led to the development of a hybrid algorithm to study the formation and evolution of protoplanetary disks. He then received an offer from the AEI in Potsdam to be a Senior Scientist in 2008 and after successfully raising a significant amount of third-party funding, he created his own Gravitational Wave Astronomy group at the AEI to host his 4 postdocs and 3 PhD students. He obtained his habilitation at the University of Potsdam in 2016, and a docent title at the Technical University of Berlin, which means that he is entitled to teach there and officially supervise PhD astronomy students at the Zentrum für Astronomie und Astrophysik. In 2016 he got an offer to join the Institute of Space Studies located at the Campus of Universitat Autònoma de Barcelona thanks to a Ramón y Cajal fellowship. Their Gravitational Wave Astronomy Research and Technology group there has led the Spanish effort in the LISA Pathfinder mission and in the future LISA one. He also visits regularly the Kavli Institute for Astronomy and Astrophysics and the Academy of Mathematics and System Science in Beijing, where he is leading a group on Gravitational Wave Astronomy. His main research focus has been Gravitational Wave Astronomy since 2004. P. Amaro Seoane. 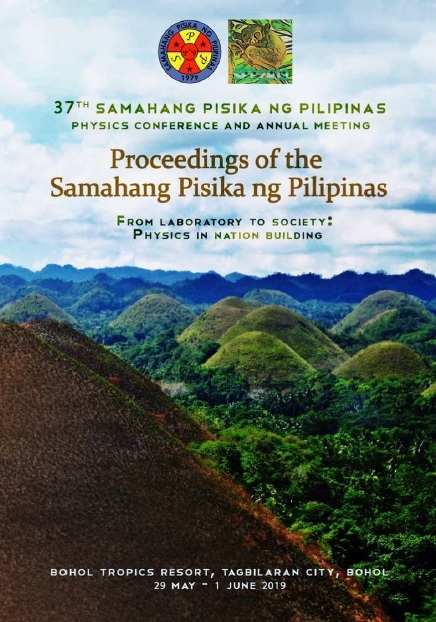 X-MRIs: Extremely large mass ratio inspirals, Proceedings of the Samahang Pisika ng Pilipinas 37, SPP-2019-INV-3A-04 (2019). URL: https://paperview.spp-online.org/proceedings/article/view/SPP-2019-INV-3A-04.